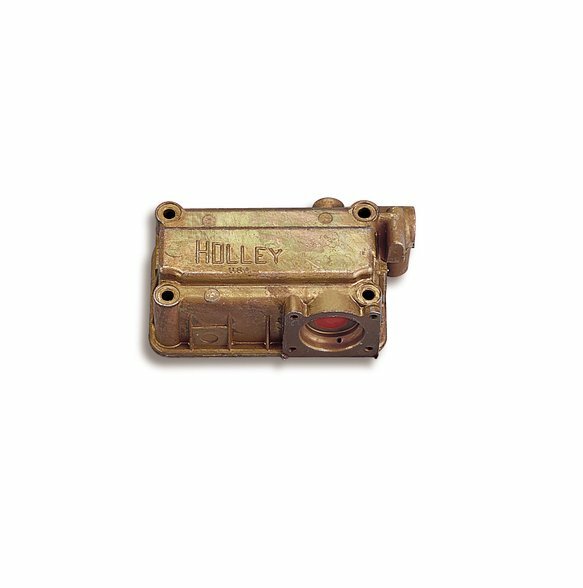 Used on some Holley Model 4160 carburetors. The primary bowl is a side-hung float design, with transfer tube provision, that accepts only the non-adjustable-style needle and seat assembly. Fuel inlet fitting is located off the side wall of the bowl.